6 + = 11 Required Please enter the correct value. Stock market today, Aug. 6, 2014: The U.S. stock market was sluggish this afternoon, with benchmarks eking out modest gains. Concerns about geopolitical pressures in Ukraine temporarily abated, but investors are taking notice of brewing economic problems in Europe. In addition to mounting concerns over Russia's military movement along the Ukraine border, a slew of bad data suggests a choppy road ahead for the European Union, which has a combined GDP that is roughly $600 billion larger than the U.S. economy. This morning, Italy, the region's fourth-largest economy, slipped into a recession after reporting its second-quarter GDP slipped for a consecutive period. The news comes in the wake of Germany and the United Kingdom reporting weaker manufacturing and orders data than expected. Investors should watch tomorrow's monthly interest rate announcement from the European Central Bank. Gold prices were up nearly 2% on the day, surpassing the $1,300 threshold this afternoon. Meanwhile, the Volatility S&P 500 (Index: VIX), which is a gage of investor fear, slipped more than 3% on the day. 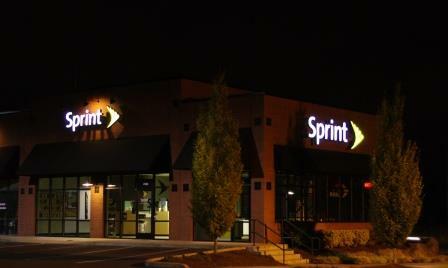 Merger Fall-Through: Shares of Sprint Corp. (NYSE: S) fell nearly 20% during today's trading session on news that the company has replaced its president and chief executive officer, Dan Hesse, with billionaire tech entrepreneur Marcelo Claure. The announcement comes within the same 24-hour stretch that the company dropped its bid to acquire T-Mobile US Inc. (NYSE: TMUS). Shares of T-Mobile slipped nearly 7% after the bid was withdrawn over internal concerns regarding U.S. regulatory approval. However, the company remains an attractive takeover target for foreign telecom companies looking to expand into the United States and compete against the nation's three largest carriers in AT&T Inc. (NYSE: T), Verizon Communications Inc. (NYSE: VZ), and Sprint. Stocks on the Decline: Shares of Groupon Inc. (Nasdaq: GRPN) were down more than 14% today after the company posted poor quarterly results after the bell on Tuesday. Meanwhile, shares of Cognizant Technology Solutions Corp. (Nasdaq: CTSH) dropped nearly 12% on news that the company slashed its yearly sales growth forecast. Dividend Plus: The U.S. Federal Reserve announced it has formally approved a five-cent dividend for embattled U.S. financial giant Bank of America Corp. (NYSE: BAC). Back in April, Bank of America discovered a reporting error during a "stress test" conducted by the central bank. The error forced Bank of America to slash its dividend and withdraw a proposed $4 billion stock buyback plan. This is the first time the company has raised its dividend in seven years. 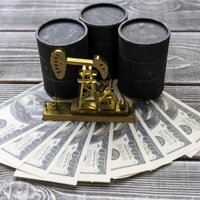 On the Rise: One of today's big energy winners was WPX Energy Inc. (NYSE: WPX), which saw shares pop more than 12% after it announced domestic oil production increased 57% over last year. During the release of its unaudited second-quarter earnings report, the stock also received a boost from its booming natural gas production levels, which surpassed 2013 production. Drink Up: Shares of Molson Coors Brewing Co. (NYSE: TAP) jumped more than 6% after the company beat second-quarter earnings on increased beer volumes. The beer company reported quarter earnings per share of $1.57, a strong beat of analysts' $1.47 expectations.